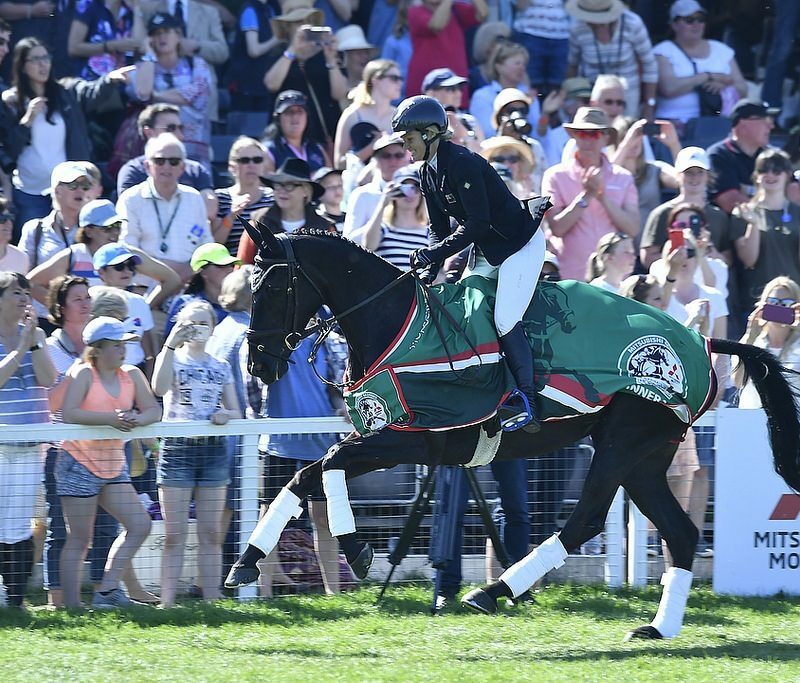 Jonelle Price became the first female winner of the Mitsubishi Motors Badminton Horse Trials in over a decade when she sealed victory in today’s final showjumping phase with an immaculate showjumping clear on Classic Moet. The New Zealander and Trisha Rickard’s feisty little black mare have been the epitome of cool all week and they won the title in the traditional way, climbing up the leaderboard from 22nd after dressage with two faultless, fast jumping performances. “Being a CCI4* winner is an elite club to join and it’s been something that has eluded me for a while now, so to now join it – especially here at the Mitsubishi Motors Badminton Horse Trials – is very, very special,” said Jonelle, for whom this was a remarkable comeback having given birth to her son, Otis, less than 10 months ago. Oliver Townend and Ballaghmor Class, lying second overnight, lowered two rails to drop from to fifth, but the Yorkshireman already had a clear round in the bag with his other top-five contender, Cooley SRS, who had gone out of order earlier on, and this proved good enough to ensure he kept second spot anyway. Ros Canter, who has once again proved her star quality this week, lowered one rail on Allstar B to finish the competition in the same place she had occupied for most of the week – third. Gemma Tattersall and Arctic Soul produced another double jumping clear – their third here in a row – to finish fourth, while the oldest rider in the field, Mark Todd, 62, lowered one rail on Kiltubrid Rhapsody to wind up in sixth. For special prizes click here.